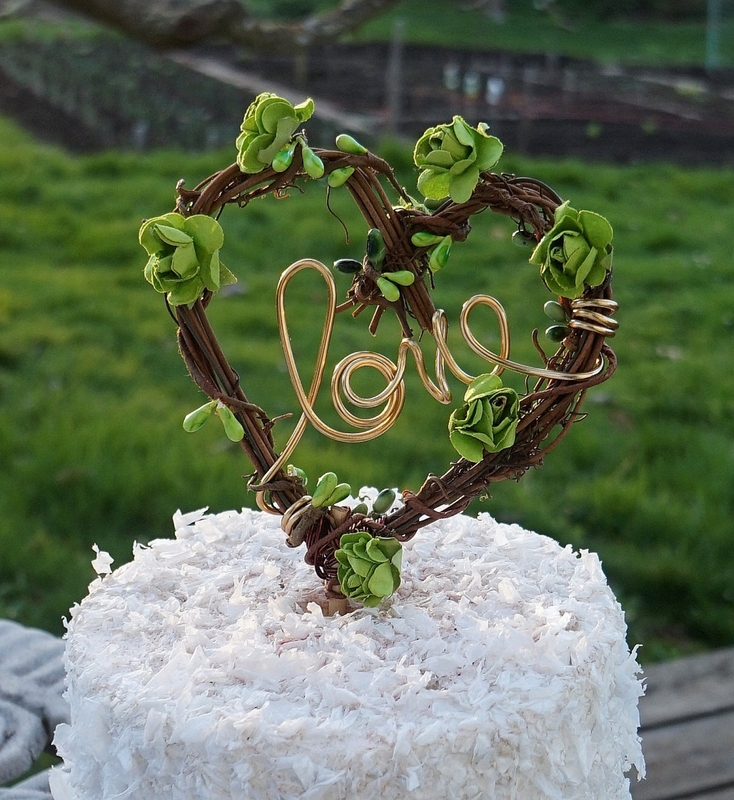 Fun and almost festive heart shaped grapevine cake topper decked all over in mini flowers that are perfect for your romantic Spring wedding reception. 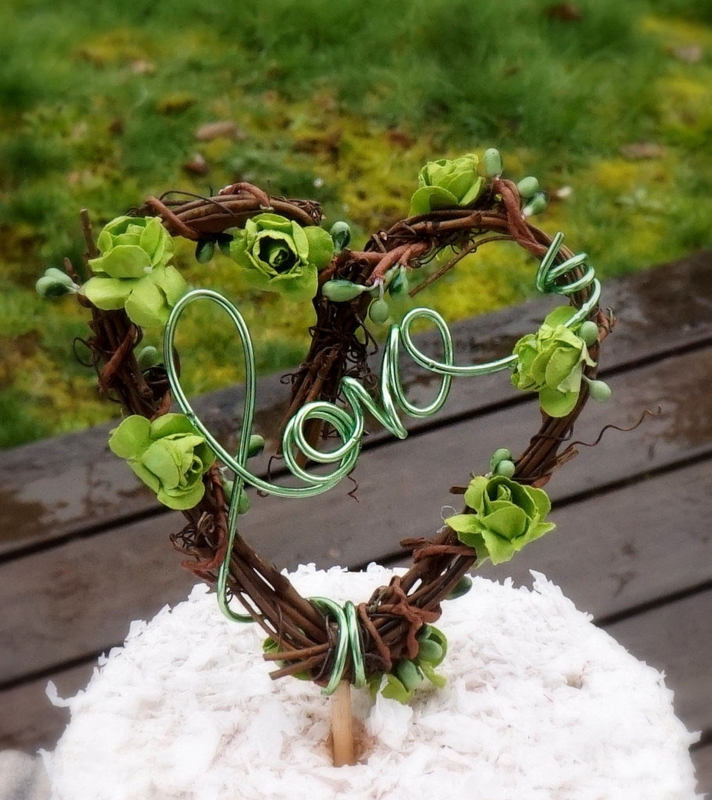 This unique topper is completely handcrafted down to the hand scripted "love" text inside. 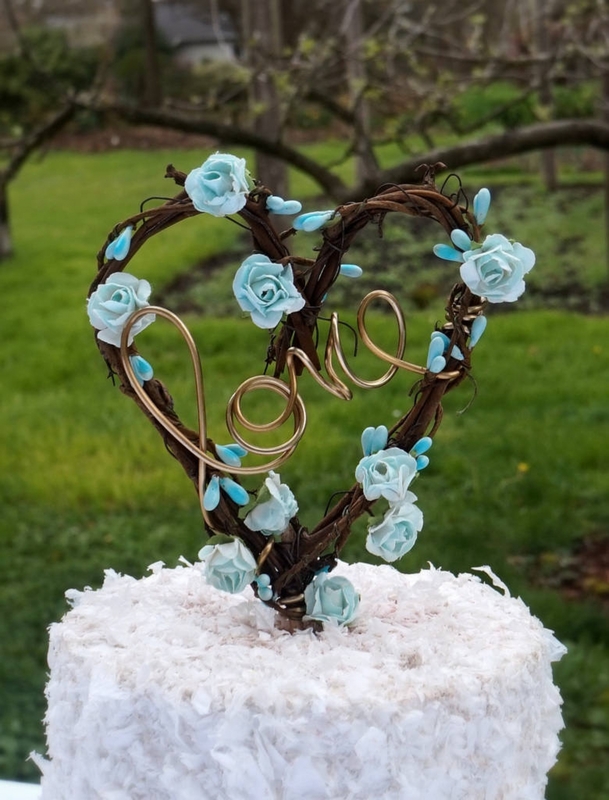 Perfect for a woodland theme or rustic chic reception. Fairy tale fantasy decor and more. 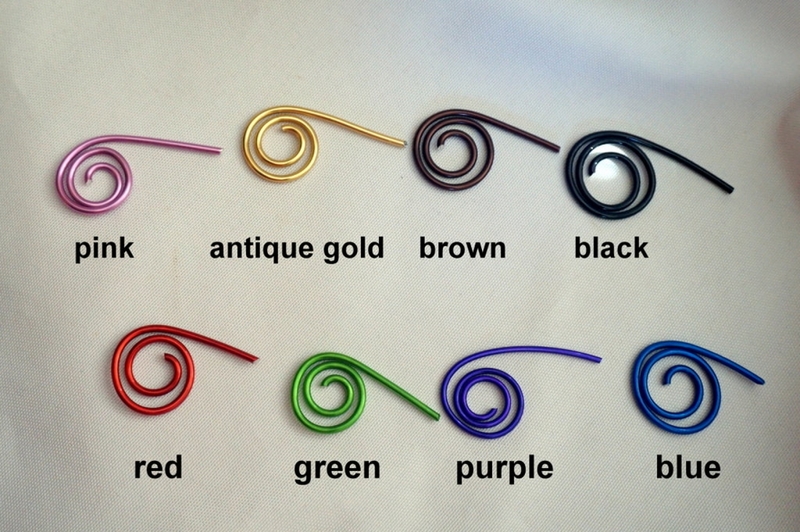 You may also customize your color combo as well. 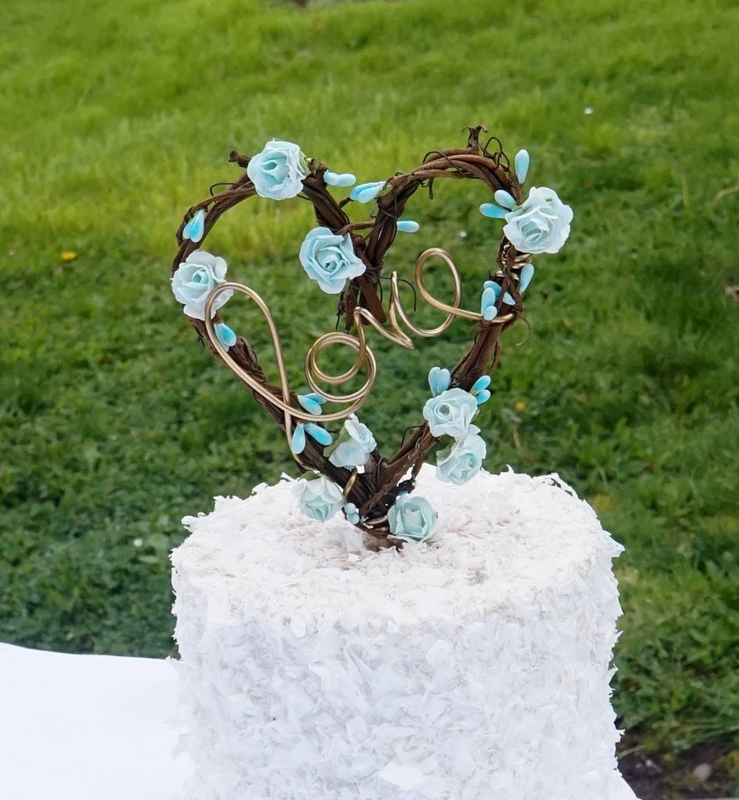 Made to order from grapevine and paper flowers, it is approximately 4 inches in width and perfect for a 6 inch or smaller cake.